1. New arm force wrist force: Can effectively exercise wrist and arm strength. It can not only exercise but also lose weight. It can perform shoulder training, abdominal training, back training, chest muscle training. 2 Applicable people: This product is an intelligence measuring instrument; it is a good assistant for sports fans such as parallel bars, tennis, table tennis, and rock climbing; it is also an aid for rehabilitation training of patients with hand muscle or soft tissue contusion. .Instructions：Hold the handle with both hands, first rotate from outside to inside, and then from the inside to the outside, repeat the operation. Pull out the handle to adjust the power. 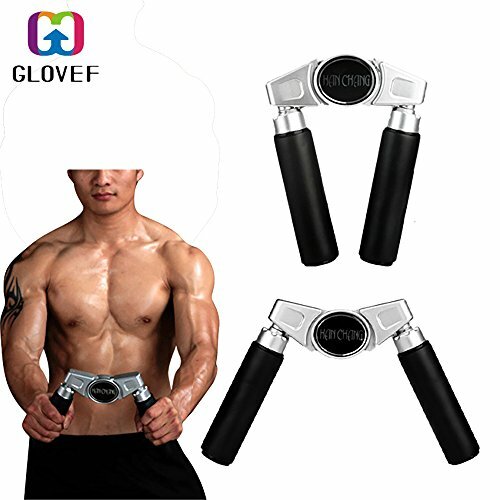 If you have any questions about this product by GLOVEF, contact us by completing and submitting the form below. If you are looking for a specif part number, please include it with your message.